Being more conservative here than in most of the other comps in terms of Merc vs. Ferrari. How long is it going to take before people stop putting Gasly in their picks entirely at this rate? 116 the late double Renault retirements were not great for me. I had them as well as the Renaults. Wasn't liking the look of things before the racing gods struck and took both Renaults for a ride. I imagine we all lost points on Gasly and Vettel so I think I might have done okay this time out. In the spirit of following the actual points system of F1, should we also be predicting the FL for an extra point? The start of the race saw pole man Leclerc get passed by Vettel and Bottas who had also passed Hamilton, however Bottas locked up and ran wide on lap 2 allowing Leclerc past and then not long after Hamilton managed to get by as well. Verstappen was running in 5th but coming under pressure from Sainz, Sainz tried to pass Verstappen but the two cars collided damaging Sainz's front wing causing him to pit for a new wing, unbeknown at the time the contact also caused a slow rear puncture on Verstappen's car. At the front Leclerc caught and passed Vettel whilst Hamilton was also catching Vettel, whilst Bottas and Verstappen were falling back. Verstappen pitted quite early for medium tyres, at the time it looked like a tactical stop to undercut Bottas but in fact it was because of his slow puncture. Bottas pitted immediately in response also onto medium tyres but lost 4th place to Verstappen, however Bottas was soon able to retake the position. This triggered the leaders to also stop, Hamilton had managed to get within DRS range of Vettel before he pitted for soft tyres, Vettel pitted immediately onto medium tyres however still lost his second place position. 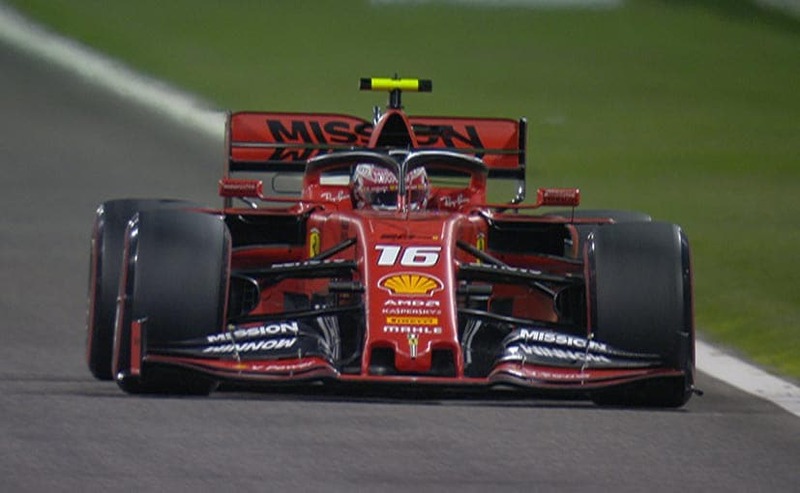 However the soft tyres were not working as good as the medium tyres and Vettel was able to retake his position, Leclerc was the last to pit for medium tyres and easily retained his lead. Leclerc was slowly stretching out his lead whilst Hamilton was able to keep a reasonable distance to Vettel being only 4 seconds behind when he made his last stop onto medium tyres, Vettel again in response pitted a lap later to protect the undercut but the gap had been greatly reduced, Leclerc pitted for mediums a few laps later easily retaining his lead. Hamilton was now much more competitive on the medium tyres and was immediately able to put Vettel under pressure before he made his move passing Vettel on the outside of a corner whilst Vettel was defending the inside, this caused Vettel to spin locking up and flat spotting his tyres. The vibration from the tyres was so bad that it caused Vettel's front wing mounting points to fail and the wing fell of his car causing Vettel to pit for a new wing and fresh tyres. Hamilton was now in second place but unable to do anything about the leader Leclerc as he continued to build his lead however 10 laps from the end Leclerc lost electrical power causing him to lose 5 seconds a lap and now was a sitting duck, he lost places to Hamilton and Bottas and would have lost 3rd place to Verstappen if not for a safety car with 2 laps to go when both Renault cars failed within a few seconds of one another and had to park just off the track. So the race finished under the safety car with Hamilton winning from Bottas, Leclerc, Verstappen and the recovering Vettel, Norris was best of the rest in 6th place driving the Mclaren, with Leclerc getting the bonus point for fastest lap. 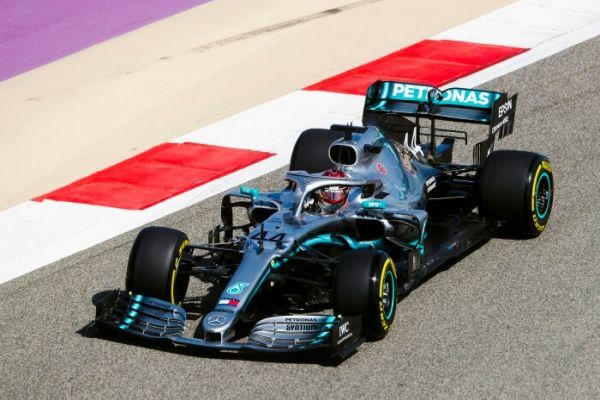 In third place with 145 points and receiving the "Luckless Leclerc Trophy"
In second place with 146 points and receiving the "Reliable Bottas Trophy"
In first place with 149 points and receiving the "Happy Hamilton Trophy"
Last edited by pokerman on Sun Mar 31, 2019 10:08 pm, edited 4 times in total. Fourth in week one to dead last this week, even without my late entry penalty. Ouch. I think they have other competitions for that? The late Renault retirement was bad for me, but probably not so much in the grand scheme since almost everyone had Ricciardo, and I was gambling on not having Hulk. Both Haas cars unaccountably being slow (and Stroll doing Stroll stuff to Grosjean) cost me a lot, however. It could be worse; I forgot to play last week as I was away!!!!! Yeah if you tend to be away a lot it's best to put in an early entry which I see you've just done, you can always amend it nearer the race weekend if you're not happy with your initial choices. Not sure about not having any Haas drivers. Thought about switching them out with the Renault guys because they're so unreliable it seems.